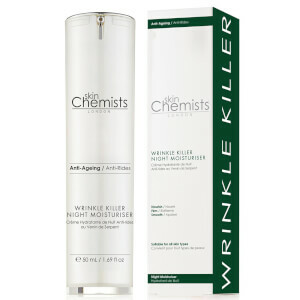 skinChemists London Wrinkle Killer Night Moisturiser is an anti-ageing night cream that helps to visibly smoothen the look of lines and wrinkles while you sleep. 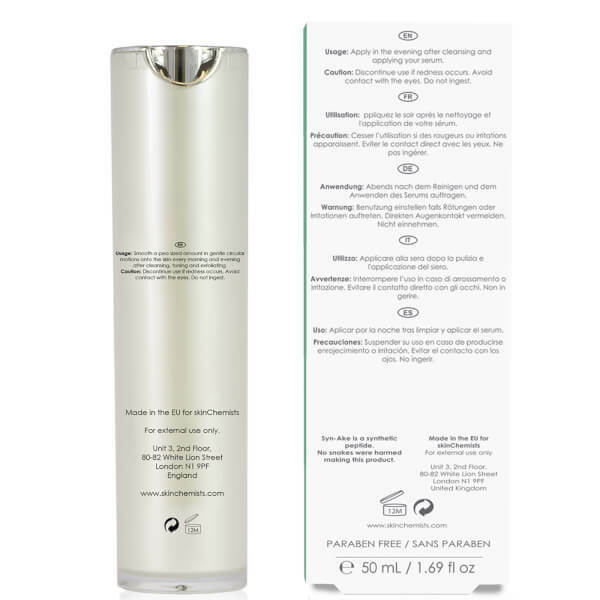 Fortified with Syn-Ake, an award-winning ingredient that mimics the effects of a peptide found in temple viper venom, the moisturiser intensely hydrates whilst reducing the appearance of expression lines and deep wrinkles. 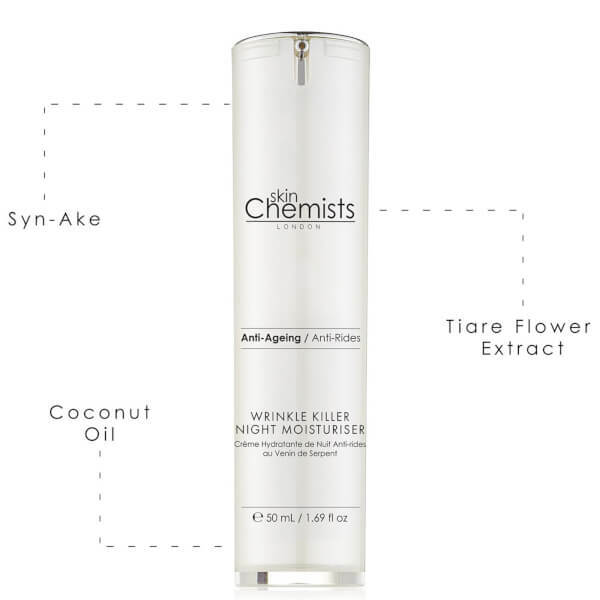 Ideal for mature skin, the moisture-retaining cream contains antioxidant and fatty acid-rich Coconut Oil to restore and protect skin. 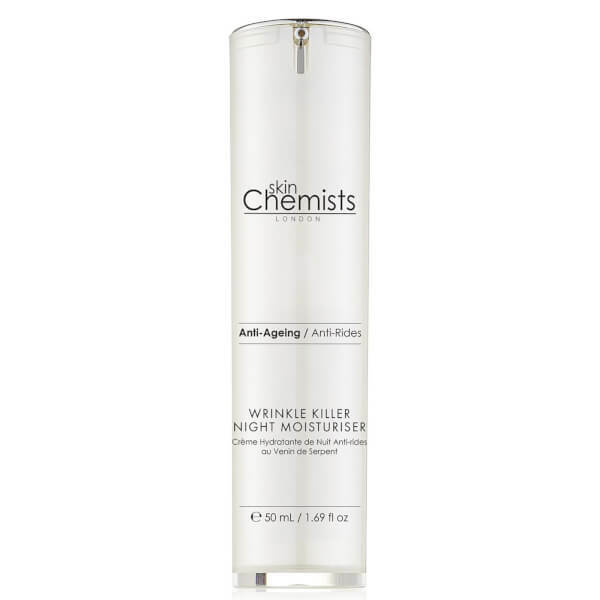 Expect a youthfully plump and moisturised complexion come morning. 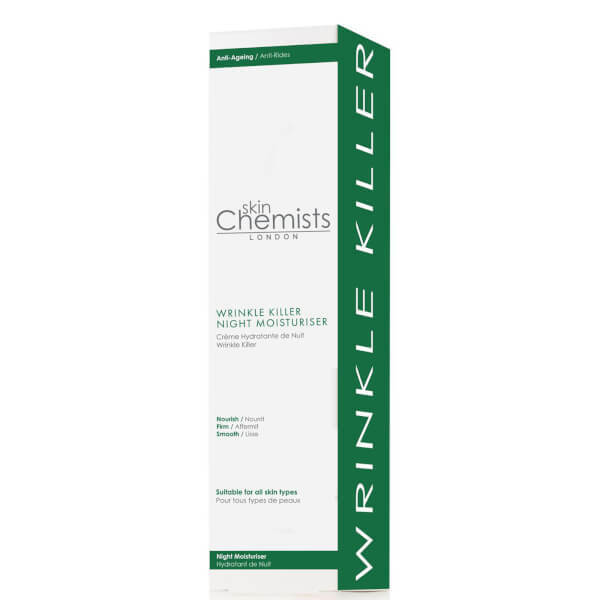 Aqua (Water), Glycerin, Glyceryl Stearate SE, Cetearyl Alcohol, Stearic Acid, Cocos Nucifera (Coconut) Oil, Isoceteth-20, Cyclopentasiloxane, Gardenia Tahitensis (Tiare) Flower Extract, Anyhydroxylitol, Xylitol, Xylitylglucosides, Dehydroacetic Acid, Dipeptide Diaminobutyroyl Benzylamide Diacetate, Phenoxyethanol, Benzyl Alcohol, Carbomer, Dimethicone, Ethylhexylglycerin, Disodium EDTA, Parfum (Fragrance), Polysilicone-11, Benzyl Salicylate, Cinnamal, Limonene.